Bowl Bog oak 800 B.C. 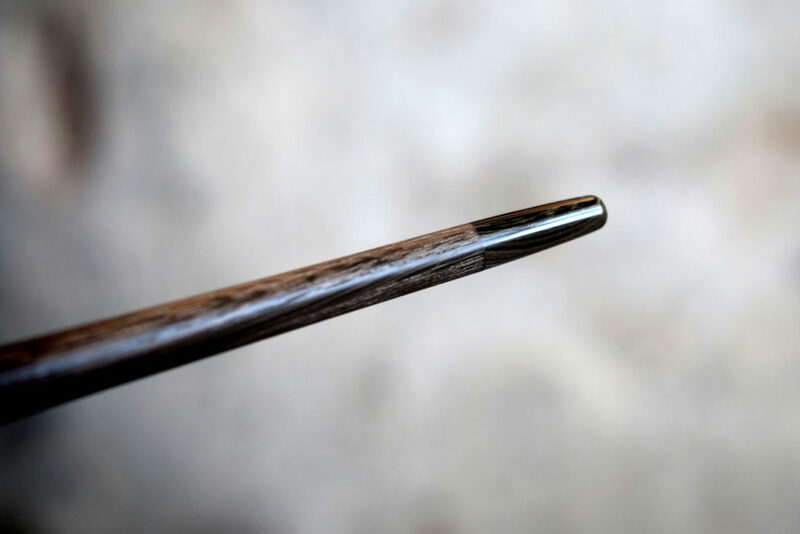 The “Gimlifossil edition” is the most rare edition of the Gandalf Pipe, a churchwarden entirely made of bog oak. 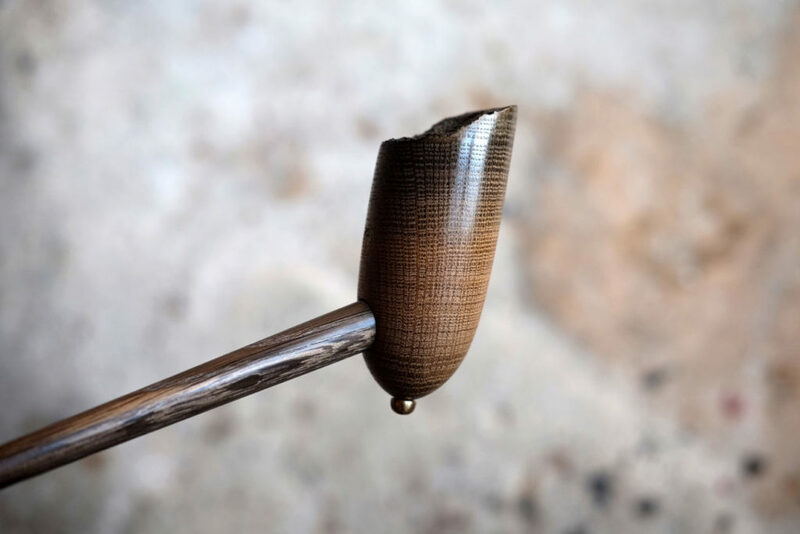 The ancient wood out of which the bowl and the stem are made dates back to oak trees lived more than 2800 years ago, fallen and submerged in bogs near rivers. Anaerobic conditions protected oak wood from decay, water and minerals dissolved in it has given to the wood an incredible natural shading in color. The top of the bowl is the external surface of the broken piece of the tree. The high number of growth rings (more than 70 in this piece, and very close together) show how slowly the tree has grown. Its spirit revives today within this precious object. The tip of the stem is made of precious German cumberland.